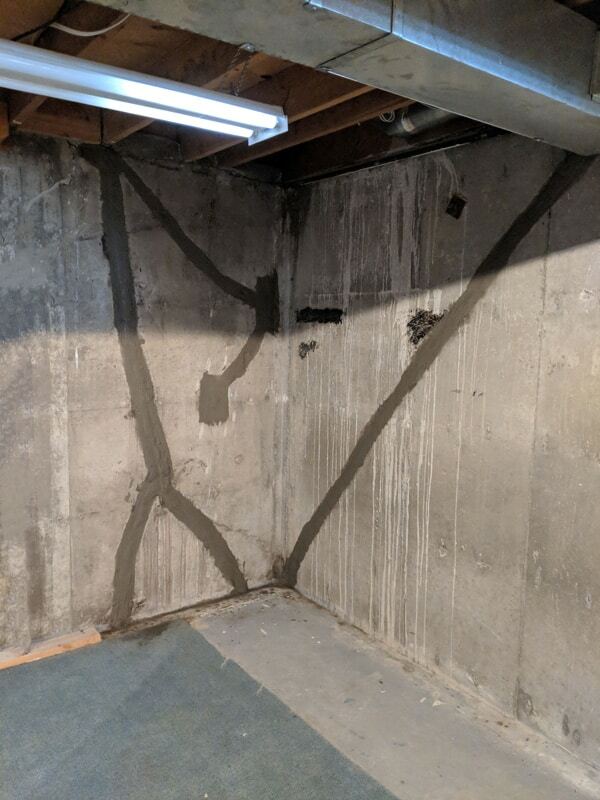 Crack repairs can be divided into two categories: Vertical (and mostly vertical), which are typically just a waterproofing concern, and horizontal, which are more severe in that they can lead to structural failure of the wall. Multiple vertical cracks in close proximity can be of structural concern as well. Cracked foundations lead to expensive, hard-to-fix structural problems. If your home’s foundation has a crack, don’t wait to repair it. Get the experienced technicians at Ramco Foundation Repairs to fix that crack before it grows. 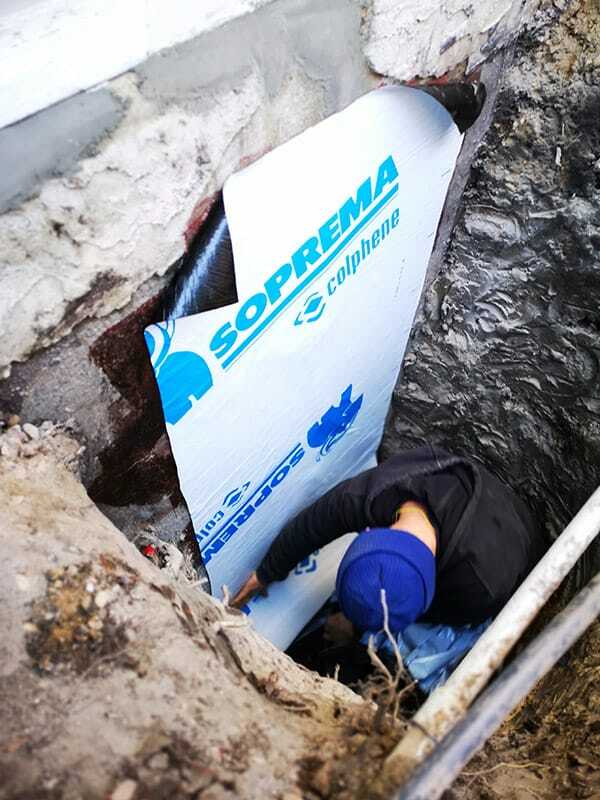 Our recommended repair is to hand excavate down to the footing to fully expose the crack. We then chisel out the crack and fill it with the Kryton Krystol Waterproofing crystalline grout system. The grout is followed by a contact primer and a peel and stick rubberized asphalt membrane. On top of that, we install a SuperSeal dimpled foundation wrap. This type of repair can withstand severe frost and moisture cycles and corresponding foundation movement. We are factory trained approved applicators for the Kryton repair system as well as Sika Canada’s injection repair products. We have found superior results with the Kryton system over injection products for residential crack repairs and we now almost exclusively complete our repairs with the Kryton products. With that said, we only recommend completing interior repairs to fairly tight cracks on foundations built after 1970 and when exterior repairs are not practical. After 1970, foundations were required to have re-enforcing steel (rebar). The rebar prevents cracks from continuing to grow and usually prevents further movement of the foundation. Foundations built prior to 1970 without rebar, tend to flex with seasonal frost cycles, which can cause the interior repairs to fail. We started our business with interior crack repairs and have completed thousands of feet of successful repairs over the years. The Kryton system has the ability to self heal minor hairline cracks through its crystal growth capabilities. But again, your first choice for a crack repair should be from the exterior, which usually only run about $300 to $400 more than an interior repair. Sometimes you need more than a quick fix for foundation cracks. 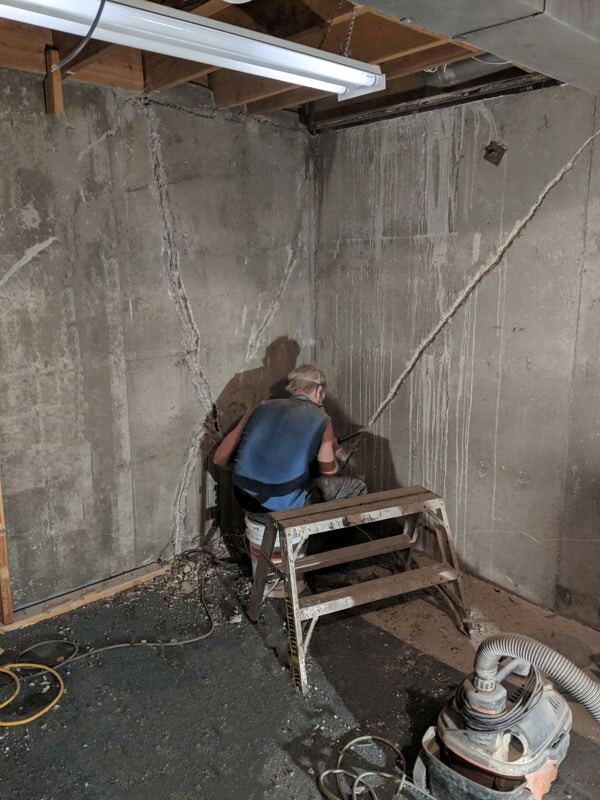 That’s why Ramco Foundation Repairs offers comprehensive repair services, including complete foundation replacement, horizontal crack repair, pile installations, and engineer-designed structural repair. Horizontal cracks are a more serious concern. Added weight from soil moisture and pressure from seasonal frost cycles can gradually push the wall in year after year. Horizontal cracks, when left unchecked, can lead to complete wall failure. When caught early enough they can be repaired with a combination of exterior waterproofing and an interior bracing wall. The bracing wall is usually built with preserved wood construction and is designed to prevent inward movement of the concrete. If the wall has already started to bow in significantly, the support walls have to be more robust and the void between the bracing wall and the original wall filled with grout. If the problem has been left too long and the bowing is severe enough, total wall replacement is sometimes the only option. We also find water seepage from things like old pipe penetrations, concrete form ties or precast step anchors. On occasion we see seepage from porous, poorly consolidated concrete, known as honeycombing; where the water literally just leaks through the walls. We have repair solutions for all of these problems. 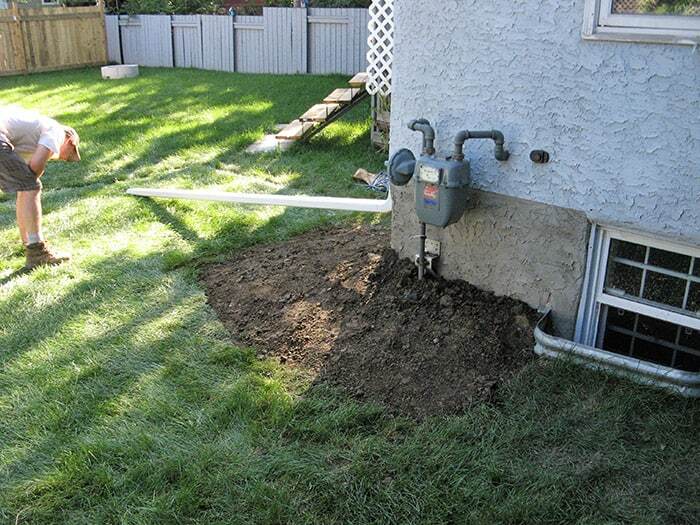 Ramco Foundation Repairs has served the greater Edmonton area for over 30 years. In addition to our foundation repair services, we do basement waterproofing and install sump pump systems. We also can replace your basement’s damaged walls. 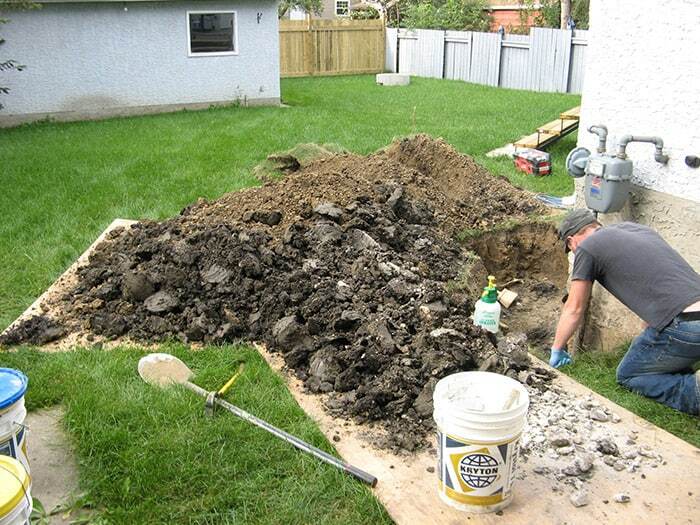 If your home needs foundation crack repair in Edmonton, call us toll-free today for a foundation repair cost estimate.